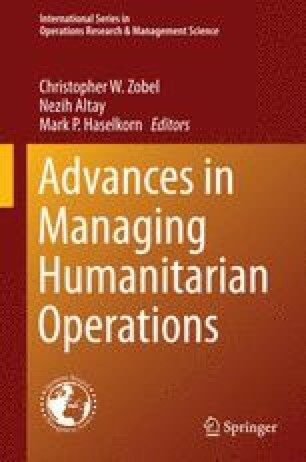 This chapter discuses Disaster Response Logistics in connection with the Emergency Functions conducted by relief agencies, and identifies under-studied areas where logistic research could enhance operational effectiveness. The chapter establishes the socio-technical nature of Disaster Response Logistics, and the implications for disaster mitigation, preparation, and response. It relays the chief findings of the fieldwork research conducted by the authors, which support the development of policies to enhance advance preparation and coordination of disaster response activities.